No freeze thaw cycles to deal with thankfully. I am researching options for low-cost flooring in a new barn. 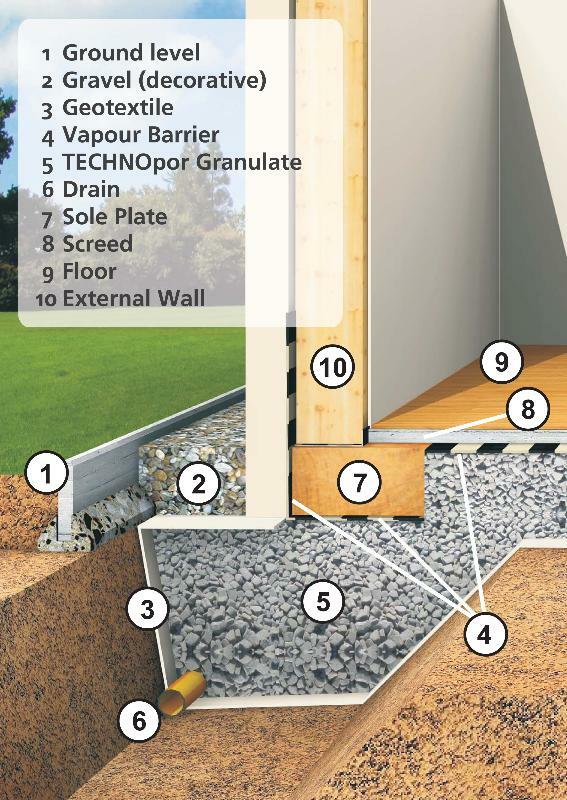 Looking for an alternative to concrete. I have read of people using lime to stabilise the soil for this purpose. 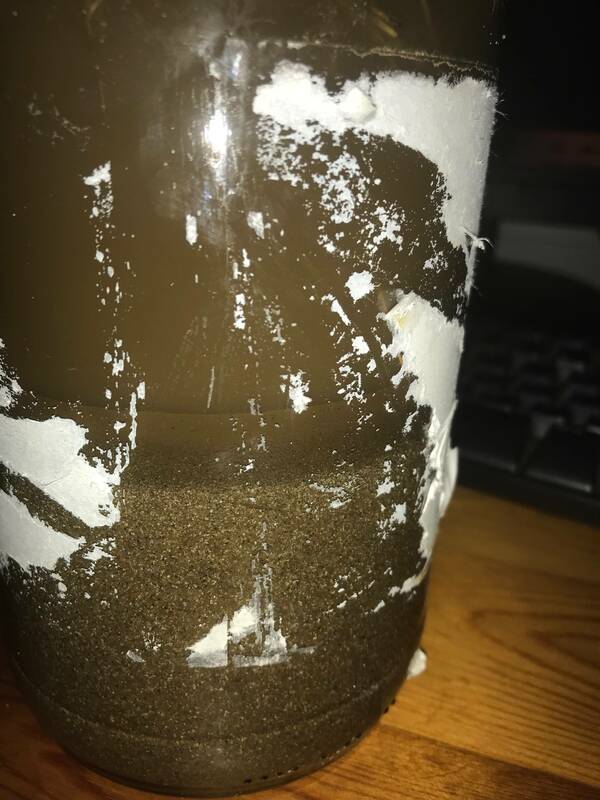 The ground at the site is very sandy and free draining - please see the following video and a photo from a "soil in a jar" test. I'm familiarising myself with Tataki 三和土 and "Doma"
Could lime be dug in and compacted to create a relatively stable, breathable floor for livestock? Cattle would be bedded on rubber matts with straw and mucked out daily. Related - lime aggregate extolled as livestock bedding in the US. Keen to hear if anyone has had success with this approach and how appropriate it might be given my ground conditions. Dillon Nichols wrote: I also like it! But I don't like steps. What are the downsides to leaving the floor level and using the entire footprint of the house as the mass? More insulation/digging..
Should have mentioned - the idea of raising the platform as also so I could install the stove at an accessible height - it wouldn't have to be below ground level. 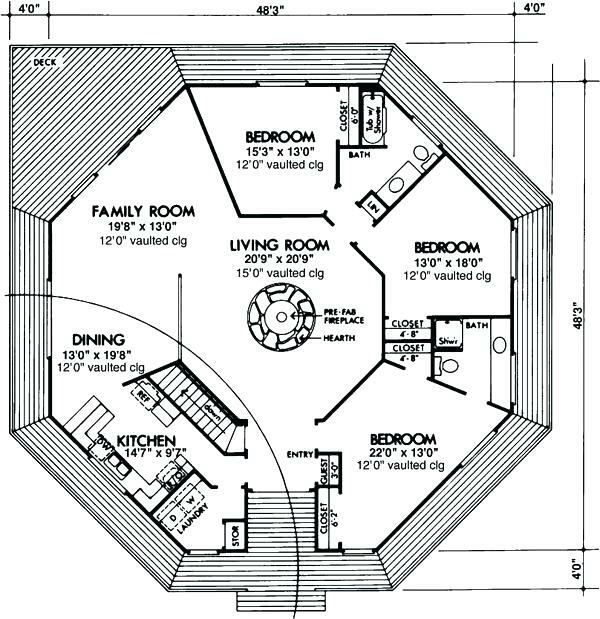 Alternatively, all the rooms could be raised, whilst the kitchen with the stove could be "sunken". 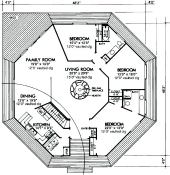 There is a central living area with rooms branching off it. 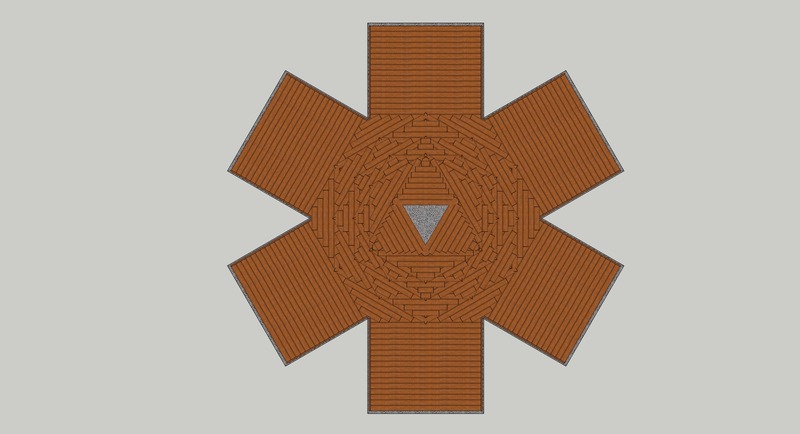 I figured why not raise the floor hear and use it as a storage mass for a rocket/masonry stove. 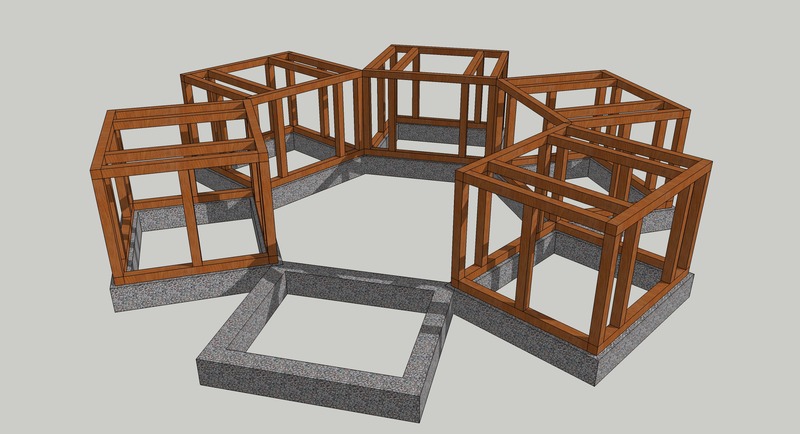 If the sides are left exposed the platform should kick out a bit of heat into the surrounding rooms. Just gotta watch the steps! Any thoughts? Dillon Crew wrote: Neat design! I like the looks of that clay based membrane; do you have a notion of what it will cost you? You're right - it's a huge amount of 8" logs. 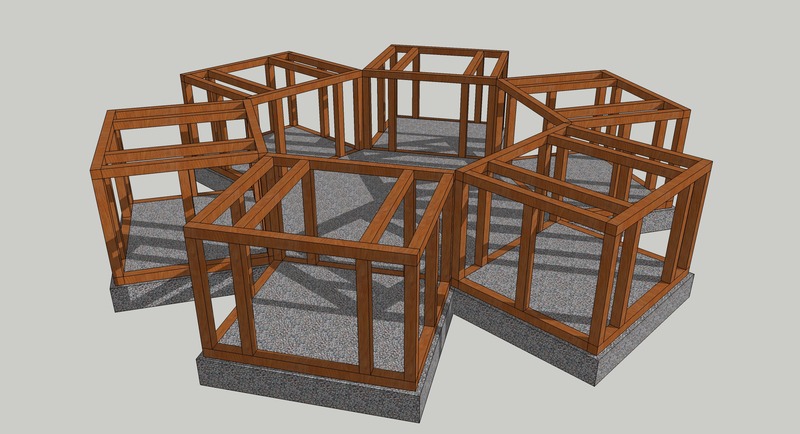 But these can be sourced at a reasonable price, the total for this structure would be around $10,000. Interesting point about wind resistance, makes sense - thanks. 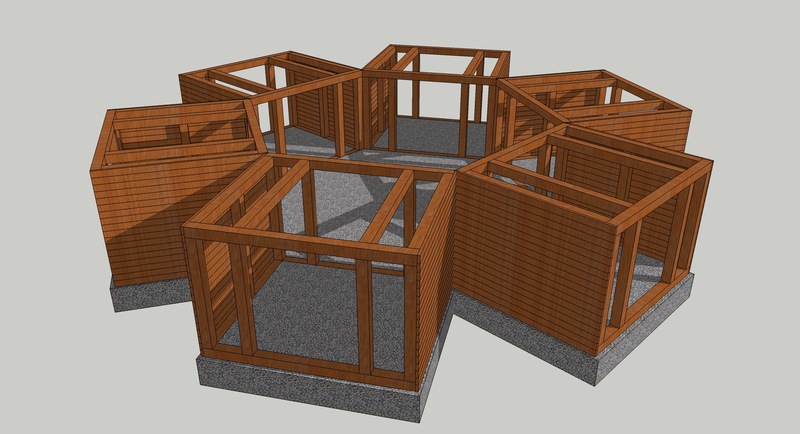 Timber Framed, Earth Sheltered "Wheelhouse"
Yet another variation, this time utilising solid timber framing. Around 130m2 of floor. Again, uses a generous amount of foam glass aggregate (approximately 160m3) - for all round insulation, drainage and use as rubble trench foundations. Timber frame to be shuttered and backfilled with either gravel or foam glass. 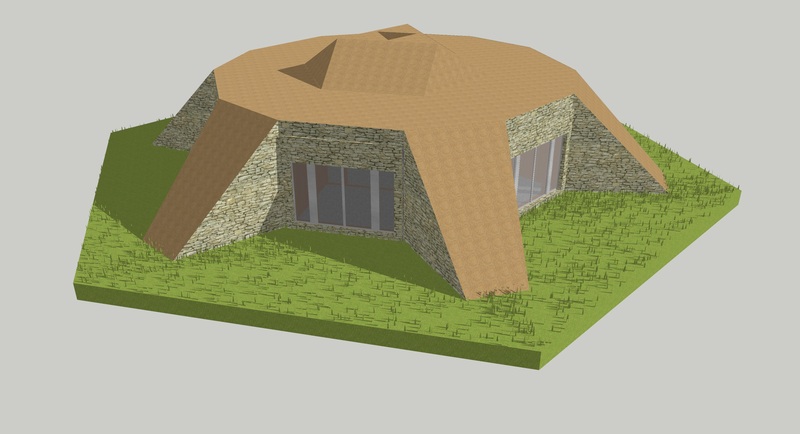 The entire structure to be kept dry using a waterproof membrane and a "geosynthetic clay liner". 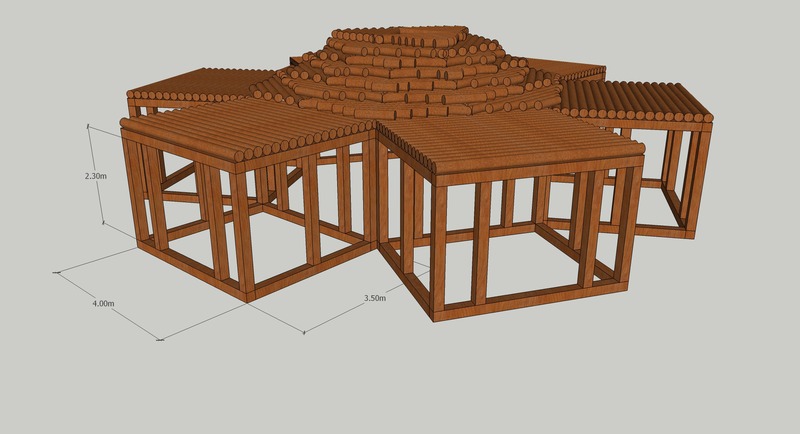 The "hogan" roof is designed using 200mm diameter round logs - timber frame beams are 200mm x 200mm. Glenn Herbert wrote: I have the same reservation about reciprocal roofs. They are an ingenious idea and very cool, but I wouldn't want to live under something that, if one part failed, the whole thing would fall on me. I've been underneath a few structures and have noticed a disconcerting bounce in the wind... not to say that they can't be constructed safely - but I don't feel confident building a foolproof one myself! However that design is not built to withstand the type of weight in a bermed structure. 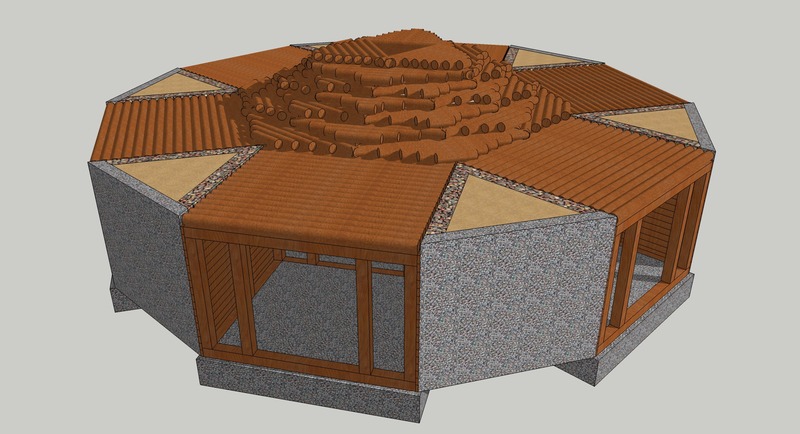 A circular building with the same window/glass placement would allow better light distribution without the walls. 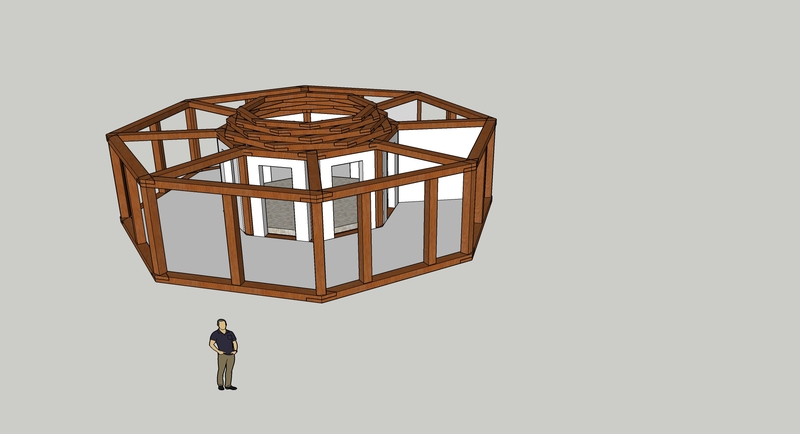 Of course any circular home would stI'll need interior walls that would block light. 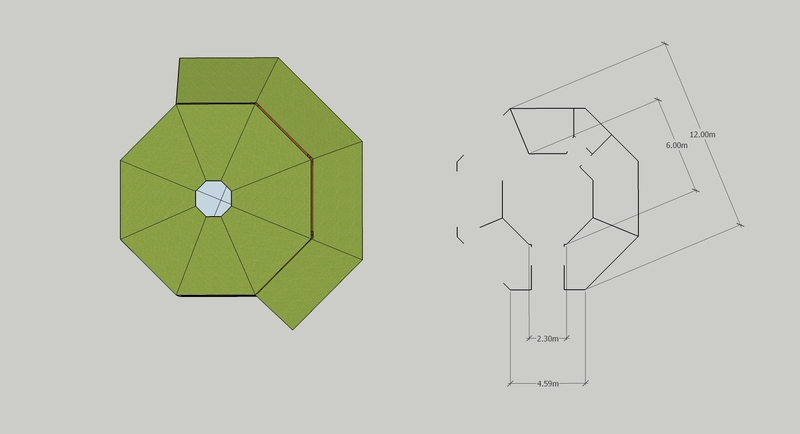 Support for a living roof could come with a reciprocal roof, but I'm unsure of the diameter to bearing loads for round diameter timber. 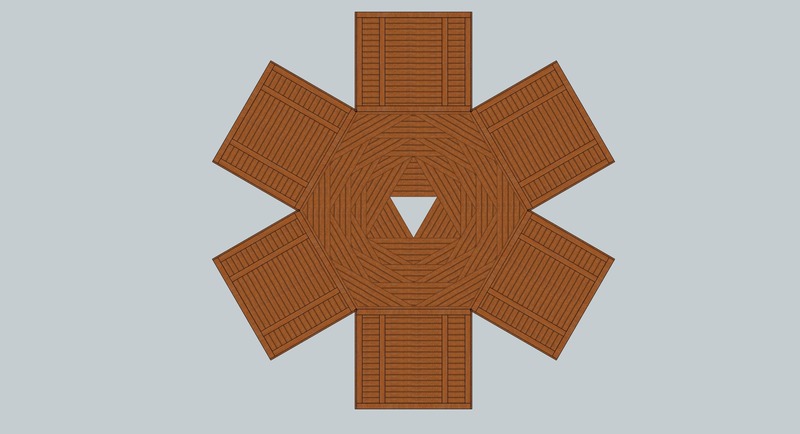 It is a cool design, are there any real life examples of this anywhere you know of? I should have mentioned our location - the Isle of Lewis. The occasional 130mph winds put the need for such a sturdy structure into context. I'm trying to draw upon the vernacular with all the stone and turf - see the following images for real life ancient examples. Here is a more modern take using shipping containers. 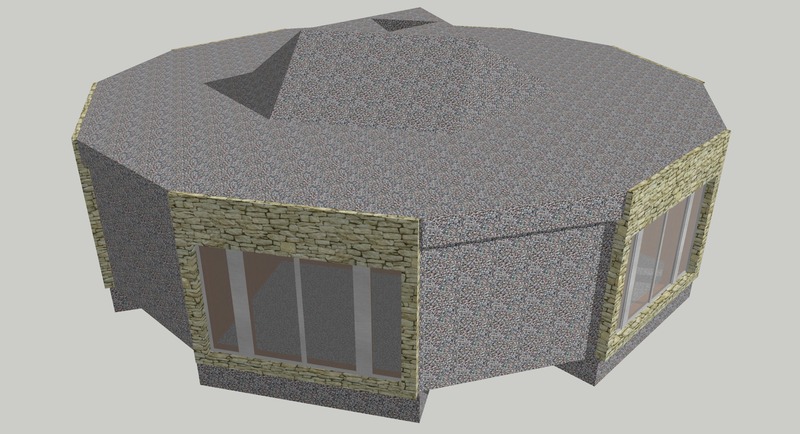 As a self builder I am wary of using a reciprocal frame roofs due the inherent issue known as progressive, or disproportionate, collapse. 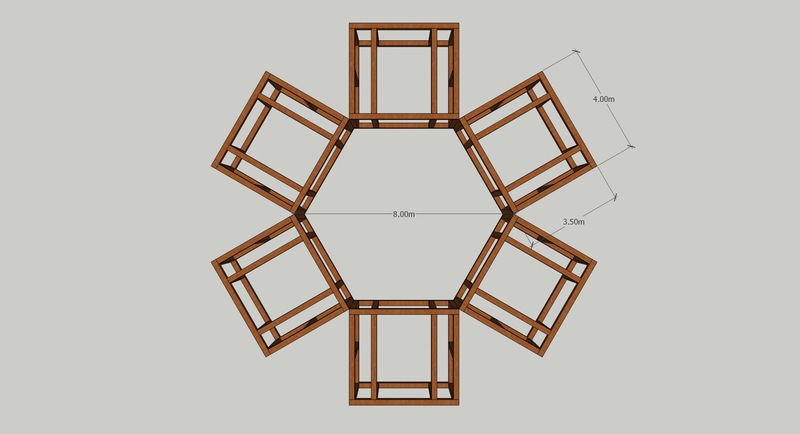 The structures rely on interlocking of the main members, which means that the accidental removal of one member can potentially mean the collapse of the entire structure. 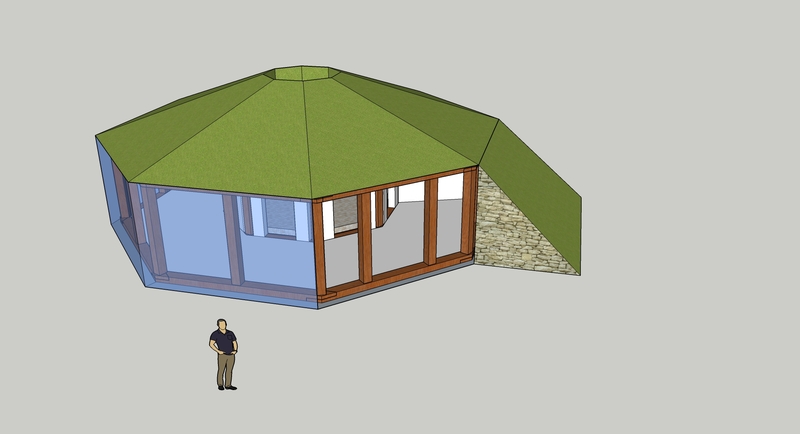 A corbelled roof is a simpler, more predictable approach which doesn't suffer from the same problem.